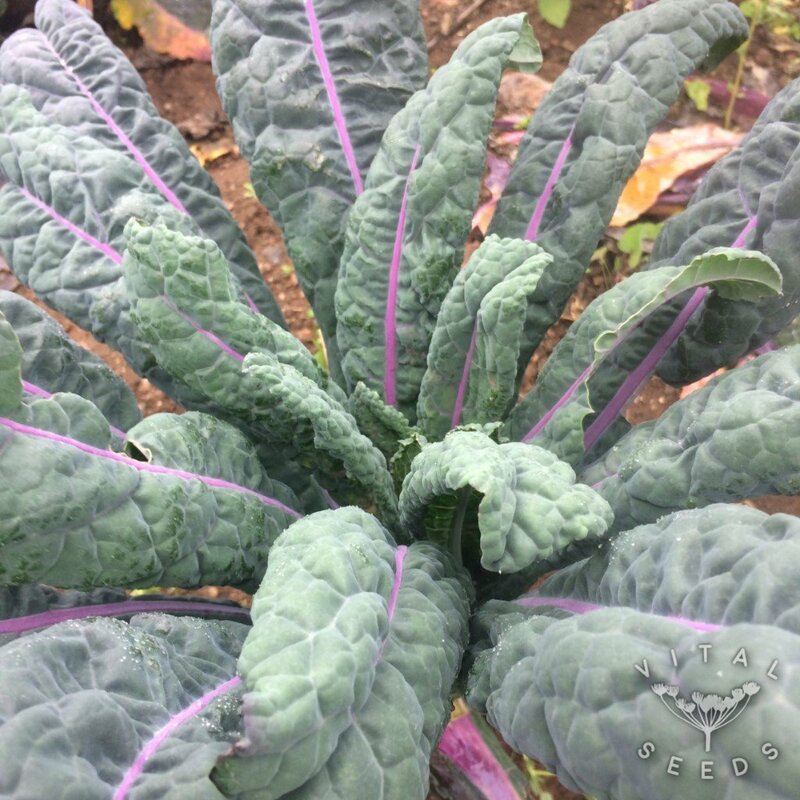 Cavolo Nero-type kale of dazzling blue and green coloured leaves with exceptional pink midribs. 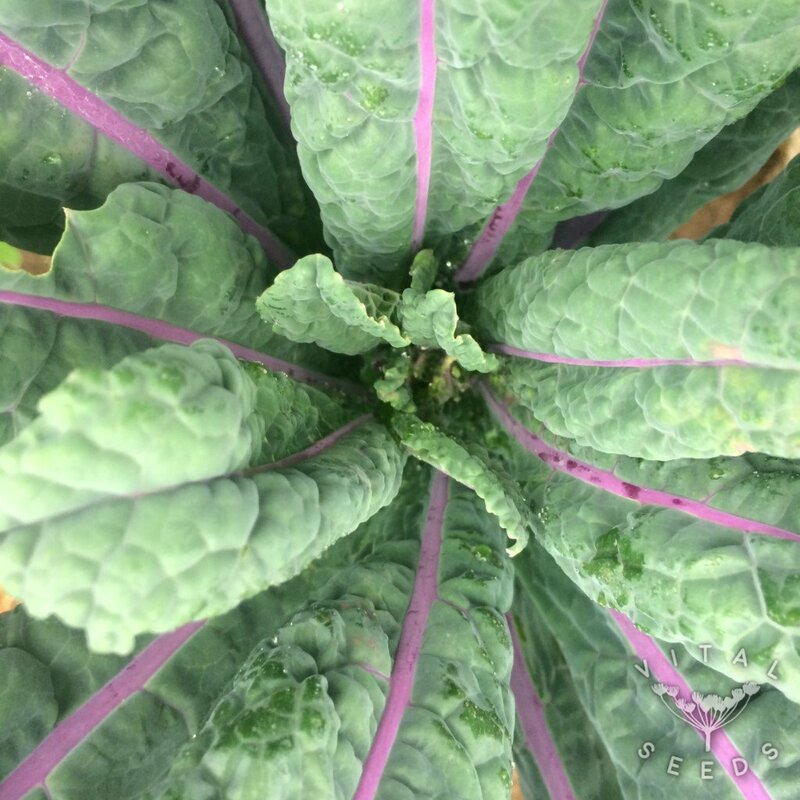 This showy kale was bred by Hank Keogh from Avoca Farm in Oregon, USA. He back-crossed ‘Lacinato rainbow’ with the Wild Garden Seed ‘Lacinato’. In looks it resembles a Cavolo Nero kale and it has stunning blue, green and pink colours. The leaves are savoyed and have underturned margins, the plant grows upright and is very cold-hardy, more so than any other Cavolo Nero type kales. Tender and tasty, great for sautéing, steaming or finely chopped in a salad. 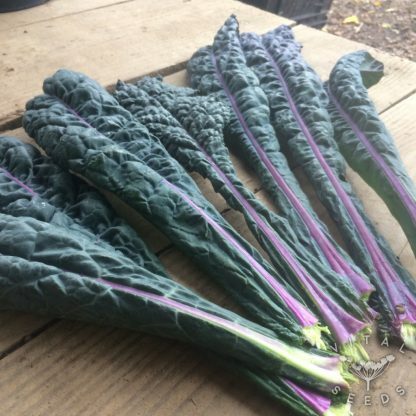 A solid vegetable for the home or market garden.